Hunted part 3. 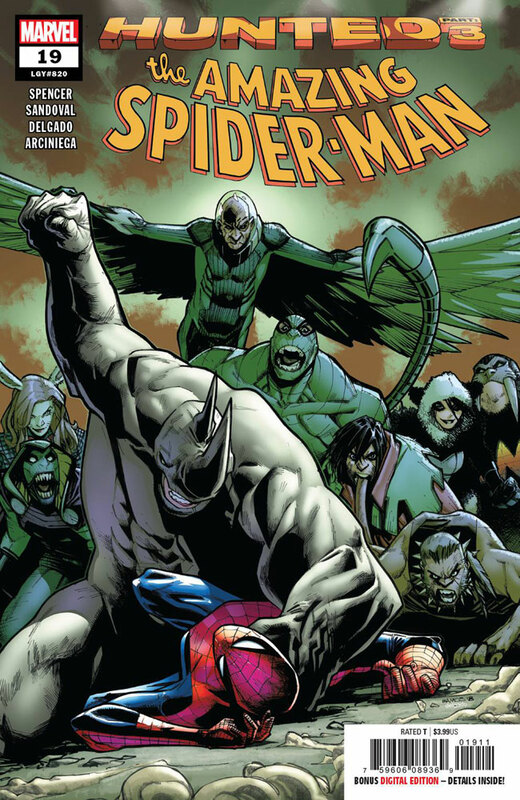 • Something horrible happened last issue that's galvanized all the villains! • Spidey desperately needs to get out of this horrible situation, but there are lives (innocent and otherwise) at stake and... well... he's Spider-Man.